According to a 1999 Public Citizen report titled “Amnesty Irrational,” three nuclear reactors—Haddam Neck in Connecticut, Maine Yankee and Millstone Unit 1—have been shut down by the NRC due to “design basis” issues—that is, the reactors were being operated illegally outside the safety parameters established in their operating licenses. In every case, according to Public Citizen, it was whistleblowers and public protest, not NRC diligence and enforcement, that caused the plants to be shut down. An overworked security guard may not be cause for general alarm. 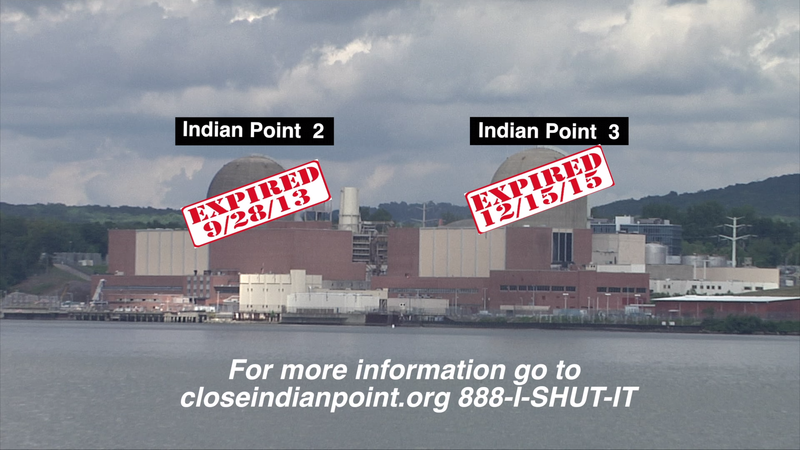 But the case points up a recurring problem at Indian Point 2. In March, the New York Times reported that an engineer working for a contractor at IP2 quit “in a dispute over the reliability of the system that triggers automatic shutdowns during equipment failures.” The engineer had discovered that the reactor’s safety systems had been modified in ways that were not reflected on the plant’s blueprints. That means anyone attempting to fix these systems during an emergency would encounter wiring different from the plant’s specifications. The problem is equivalent to rewiring the circuits in your house, neglecting to write down the new system, and then trying to figure out which fuse to replace when the lights go out. This problem was cited in a recent NRC inspection of IP2, along with substandard programs for finding and correcting problems, equipment reliability issues, procedural weaknesses and shortcomings in engineering support. A third employee of IP2 also resigned recently due to frustration with the plant’s safety systems. According to the August, 2000 Albany Report, published by Environmental Advocates, a proposed New York State Whistleblower Protection Act passed the Assembly but was never voted on in the Senate. Sponsored by Assemblyman Richard Brodsky and Senator Thomas Morahan, the WPA would have established a state nuclear power plant whistleblower access and assistance program. The bill was defeated thanks in part to opposition from industry lobbyists like the Energy Association of New York State, of which Consolidated Edison is a member. Joe’s Story “Joe” (not his real name) is an employee of Con Edison. For five years he served as an A-grade mechanic on a power generation maintenance crew at IP2. When there was an outage, Joe and his crew were called in to get the reactor fixed, and fixed fast. He recalls working 118-hour weeks for four straight months during one outage at IP2. That’s nearly 17 working hours per day, seven days per week. Joe was lucky—he lived near the plant. Others on his crew had to spend two of their seven free hours commuting to and from homes in Brooklyn, if they went home at all. That means some of the people responsible for repairing an aging, accident-prone nuclear plant, which sits 24 miles from New York City astride the Ramapo fault line, were getting, at most, five hours of sleep per night for four months—assuming they didn’t eat, bathe, or spend time with their families. This kind of scenario is business as usual at Indian Point, according to critics of Con Ed, who say the utility company values dollars over safety. The New York State Power Authority, which operates the neighboring Indian Point 3 reactor, doesn’t do much better. While people like Joe were scrambling to get IP2 back on-line after the radioactive steam release of February, 2000, dozens of workers were contaminated during what should have been a routine refueling of IP3. The cause? In order to cut costs and off-line time, NYPA knowingly and illegally relaxed the protective clothing requirements for workers over a 40-day period. The cooling fans in the reactor dome were broken, and NYPA claimed that heat exhaustion was a bigger threat to worker safety than exposure to radiation. Joe knows all about the hazards of working in a nuke plant. He and his crew used to lie in puddles of radioactive water, fixing a turbine or steam tube, “till you got burned up a little bit.” One time the boss told Joe’s crew to don extra jumpsuits, earmuffs and towels around their necks, and climb on top of the generator turbine to loosen every other bolt. The extra garb was to protect them from the pressurized steam, which would shoot out of the turbine at 150 degrees as soon as a bolt was loosened. Nevertheless, Joe says, “My lifetime exposure [to radiation] was low—it was five rems. Other guys were up to 48 rems.” The NRC’s annual maximum whole body (internal and external) exposure limit is five rems; its annual skin exposure limit is 50 rems. 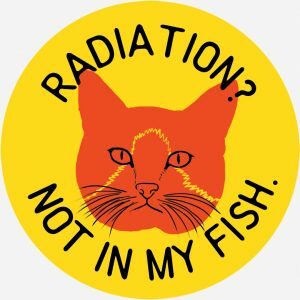 According to the Pacifica Radio Network, IP2 was cited in the early 90s as the plant that was producing the highest level of radiation for workers, with the least control on worker safety. Does Indian Point 2 pose a danger to the public? Joe says no, despite his belief that accidents are both more numerous and more serious than the public has been led to believe. For example, Joe cites a reported leak of five gallons of radioactive water. In the locker room at the plant, the guys who were called in to fix the leak told Joe the true figure was more like 150 gallons. Frequently, he says, Con Ed sacrifices safety and misleads outsiders in order to enhance the plant’s public image—which, considering the dismal public image of IP2, speaks poorly of true conditions at the plant. However, Joe believes there are enough backup systems in place to prevent a disaster at IP2, even though, “more often than not, they’re relying on the backup systems.” It’s a good thing there are numerous backup systems, because given the millions of people living within 50 miles of Indian Point, many believe any emergency evacuation plan to be an exercise in futility. “If there’s an explosion and an immediate release of radiation,” Joe admits, “the people are fucked.” Joe no longer works at IP2. Concerned about his health, he transferred to another division of Con Edison. He asked that we preserve his anonymity in order to protect his job. 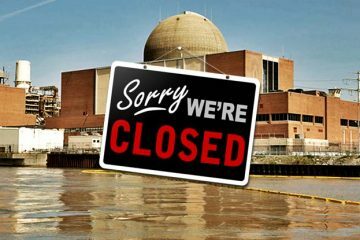 A History Of Failure Many anti-nuke activists consider Indian Point to be a disaster from inception, considering that Unit 1 was built on an earthquake fault line 24 miles from the most populous city in America. At the time, the Atomic Energy Commission had no siting criteria for reactors. Unit 1, also operated by Con Ed, had no emergency core cooling system and was forced to close in 1974; but because the site had already been approved for a reactor, units 2 and 3 were allowed to be built there, despite the fact that the site failed five of six criteria under 1979 NRC siting rules. Consider this partial chronology of incidents at Indian Point between 1979 and 1994, compiled by Citizen’s Awareness Network (a complete list is available online at http://www.nukebusters.org/html/indian_point.html): Sept 1979: The Union of Concerned Scientists, NYPIRG, and WESPAC petition the NRC to decommission (dismantle) the inoperative IP1 and suspend operations at IP2 and 3, citing over 60 safety deficiencies, including problems in plant design. Oct 17, 1980 to 1982: Con Ed discovers over 100,000 gallons of radioactive water spilled in the containment building of IP2. No one had checked the area since Oct 3, despite warning lights showing water build-up. Con Ed attempts to restart the reactor three times, without first checking on possible damage from the spill. A UCS study shows 24 equipment failures and 21 management and operations errors in the period from Oct 1 to 20. IP2 is shut for eight months; Con Ed attempts to recoup losses from the shutdown, estimated at $800,000/day, with a 10 percent rate hike. 1980-82: NRC hearings on IP operations and emergency planning are stalled when the hearing board chair resigns in protest of a ruling that excludes much anti-nuclear testimony. Former NRC Commissioner Peter Bradford states afterwards, “Nowhere has the commission majority’s hostility to fundamental legal concepts of fairness been more clearly shown than in the Indian Point hearings.” Dec, 1992: The FBI seizes NYPA records regarding a meeting at which a senior plant manager knowingly lied to the NRC; in addition, the FBI seizes records showing that 25-30 plant operators admitted to “occasionally” falsifying log entries. June-Oct, 1993: NRC fines NYPA $300,000 for 17 safety violations, including defects that caused a six month failure in a backup reactor shutdown system. NYPA also admits that it has been issuing inaccurate reports on radiation releases for 13 years. The NRC’s resident inspector notes, “They released more (radiation) than they thought they released.” Nov, 1993: Two original safety valves at IP3 found to be insufficiently rated; in the rush to replace them before an upcoming NRC inspection, engineers install them backwards, blocking both cooling systems and disabling backup generators. May, 1994: After an NRC directive forces the utility to inspect its spent fuel pool at IP1, Con Ed admits that water has been leaking for four years, with estimates of up to 150 gallons of radioactive water leaking each day. In a year-old rating procedure intended to be more easily understood by the public, the NRC rates crucial safety systems of nuke plants with a simplistic “green/yellow/red” designation. Currently, Indian Point 2 has the dubious distinction of being the only reactor in the country ever to earn a red safety rating from the NRC. In an August, 2000 letter to Con Ed, the NRC concluded, “Despite opportunities [to take] appropriate corrective actions… [steam] tubes with primary water stress corrosion cracking… were left in service following the 1997 inspection [by Con Edison], until the failure of one of these tubes occurred on February 15, 2000, while the reactor was at 100 percent power.” The resulting radioactive steam release earned IP2 the nation’s only “red” rating for barrier integrity. Chris Olert, spokesman for Con Edison, says his company disagrees with the “red” rating. (Con Ed contested the rating, but the NRC recently reaffirmed it.) Olert also says the company is of “different professional opinions” with the engineer who resigned, and asserts the company position that it’s not unusual for on-paper technical specifications to occasionally differ from reality. He believes the plant’s emergency plans are adequate and states, “The plant’s operating safely.” Reactor Safety and the UCS Despite their history and current poor safety ratings, the two operating reactors at Indian Point are inspected only half as often as required by federal law, according to the Union of Concerned Scientists, a 31-year-old nonprofit formed to look at issues of science and technology. Dave Lochbaum is the current UCS Nuclear Safety Engineer. His predecessor at UCS was Bob Pollard, coincidentally a former NRC project manager for Indian Point 2. Pollard resigned from that post during a “60 Minutes” interview in 1976, saying he couldn’t continue to sign documents saying the plant was safe. He called IP2 “an accident waiting to happen.” According to Lochbaum, the steam tube rupture at IP2 in February 2000 was imminently preventable. In fact, IP2 was the only plant in the country at that time still using the old, outdated Westinghouse Model 44 steam generators. Ten percent of the steam tubes in these generators had already been plugged due to previous problems. Furthermore, Con Ed had already purchased new generators, which sat unused at IP2 for a decade prior to the accident, waiting to be installed. According to a petition sent from UCS to the NRC following the February 2000 accident, “Dr. Joram Hopenfeld of the NRC staff first documented concerns with steam generator tube integrity on December 23, 1991. More than eight years later, his concerns remain unresolved.” The petition demanded that IP2 be shut down until all four steam generators were replaced; until Dr. Hopenfeld’s concerns were resolved; and until potassium iodide tablets were distributed to neighbors of IP2 (these offer some protection in case of a large-scale radiation release). Furthermore, the petition requested a public informational meeting be held in the vicinity of IP2. The petition was denied by the NRC in December 2000, on the basis that the generators had by that time been replaced voluntarily by Con Ed, and no further action was necessary. The UCS is not some anti-nuke activist group. Lochbaum says the UCS doesn’t want to get rid of nuclear power—they just want the plants fixed. Lochbaum doesn’t feel the public was harmed by the steam release of 2000. He notes, “More radiation would have been released routinely over the next month.” Now that the generators have been replaced, the UCS is primarily concerned with emergency planning at Indian Point. According to Lochbaum, federal guidelines say emergency plan testing has to be done every two years at all US nuclear plants. But the NRC makes an exception for New York State, Lochbaum says, because there are two sites in the state where two reactors are under different ownership. Because of what Lochbaum considers an illegal exception, NYPA and Con Ed each get away with testing their emergency plans every four years, on an alternating schedule. Back On-Line IP2 went back to full power in January, following the installation of the four new steam generators, which was completed in December. “The safe and methodical full return to power of Indian Point 2 is a tribute to our hard working, dedicated employees,” said Kevin Burke, president of Con Edison. The quick return of the plant to full operating capacity was important to Con Ed for several reasons. For one thing, an idle nuke is a money-losing proposition, while IP2 generates up to 1,080 megawatts and $1.4 million in profits daily when fully operational. For another thing, Con Ed will sell the plant to the Entergy company this summer, when the NRC is expected to approve the license transfer. Entergy plans to purchase IP2 from Con Edison for $602 million. Entergy purchased IP3 from NYPA in November and is awaiting NRC license approval for that deal as well. A third force acting on Con Ed at the moment is heightened scrutiny from the NRC, anti-nuclear activists and local governments. The NRC just completed an investigation of IP2, a full report of which was to be made public shortly after press time (NRC reports, press releases and other documents are available on the agency’s Web site, at www.nrc.gov/). Following the steam-release accident in February 2000, there was a flurry of letters, press releases and stern warnings from public officials. U.S. Rep. Sue Kelly (R-Katonah), Westchester County Executive Andy Spano, Sen. Charles Schumer, Assemblyman Richard Brodsky and others sought to keep Con Ed from reopening the plant without first replacing the faulty generators. Accusations of negligence were leveled at Con Ed and the NRC, and Kelly even wrote then-President Clinton, demanding that any decision to allow the plant to reopen be made at the highest levels of the NRC, not by low-level NRC staffers, whose conduct, she said, “has proven to be questionable.” Even Governor George Pataki weighed in, signing a law barring Con Ed from recouping the costs of the outage from customers. 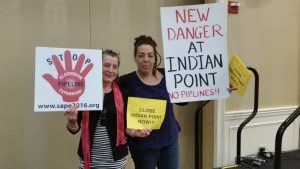 The suddenly-fashionable anti-Indian Point bandwagon gave hope to anti-nuclear activists like Michelle Riddell of New Paltz, who was arrested with three other people in July after chaining herself to the doors of Con Ed’s New York office, to protest the planned restart of IP2 with the faulty generators still in place. Riddell doesn’t believe Indian Point is an accident waiting to happen. She says it’s happening. Referring to the periodic planned releases that are typical of nuke plants, Riddell says, “It’s like they fart—it’s silent but deadly. They fart or burp radioactivity.” Riddell believes this is a leading cause of the high strontium-90 levels in the teeth of Ulster County babies (see sidebar). Referring to the public relations tactics of nuke owners, she says, “They don’t mind killing the sheep, they just don’t want to have us panic. This is their MO” Riddell and others say there’s no need for Indian Point. They point to New York Assembly hearings of 1994, during which testimony showed that other energy options are cheaper, that IP3 has run at only 42 percent efficiency over its lifetime, that it ranks 95th out of 109 US nuclear plants in its lifetime capacity factor and that rate payers could have saved up to $140 million/year from closing IP3. When Indian Point was in the news and an election was on the horizon, activists like Riddell saw at least some of their views gain widespread political support in NYS. With the new generators installed and the election over, the ruffled politicians seem to have been mollified, and the anti-nuke people are on their own once again. For its part, Con Ed is getting out of the power generation business. The move is mandated by the state Public Service Commission pursuant to recent deregulation of New York State energy producers. What’s Next? Entergy, the company that will shortly assume ownership of both IP plants, is in the process of merging with the FPL Group (Florida Power and Light) to create an industry giant. The combined company will be the nation’s largest electric utility and power producer, serving more than 6.3 million customers with a generating capacity of more than 48,000 megawatts, over 10,000 of which will be nuclear-generated. This makes Entergy/FPL the nation’s second largest nuclear power producer. The merger is slated to be complete before the end of the year. According to Entergy’s Northeast Communications Manager, Larry Gottlieb, Entergy rigorously inspects every plant it buys. “There’ve been a lot of operational and management changes [at IP3] that reflect Entergy’s philosophy of putting safety first,” says Gottlieb. Entergy already has offices at IP2; as the transfer nears completion, Entergy will be finalizing a list of plant upgrades and management changes, based on its own inspection and that of the NRC. “There haven’t been any major surprises,” Gottlieb says of the NRC report. Most of the work on IP2, he adds, will probably center around “work systems”—the way in which problems are analyzed and addressed. This was one of the major issues for which the NRC faulted Con Ed.